I’ve gotten so much amazing feedback on my Amazon Haul blogs that I decided to put together a third! 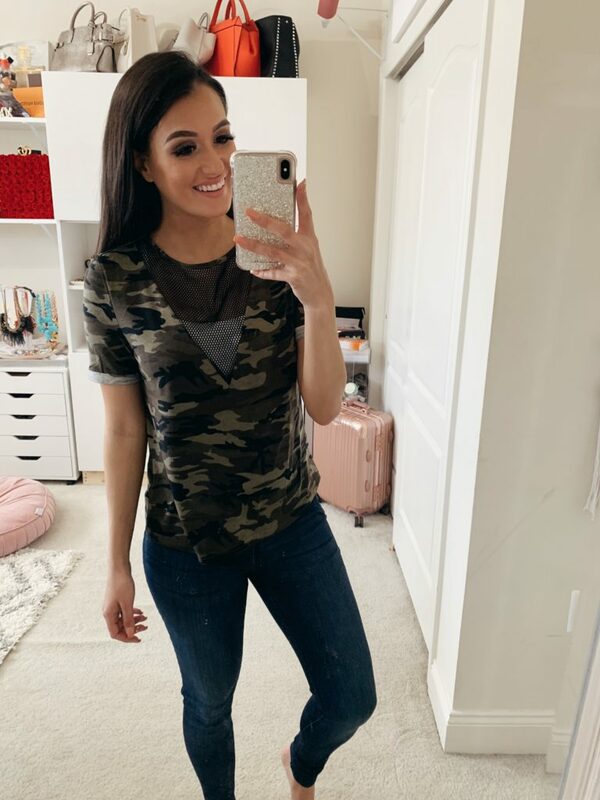 This is in no way sponsored, just sharing some clothes from Amazon that I purchased that I love and know you all will too! Here are some more spring-inspired pieces to get you ready for warmer weather! 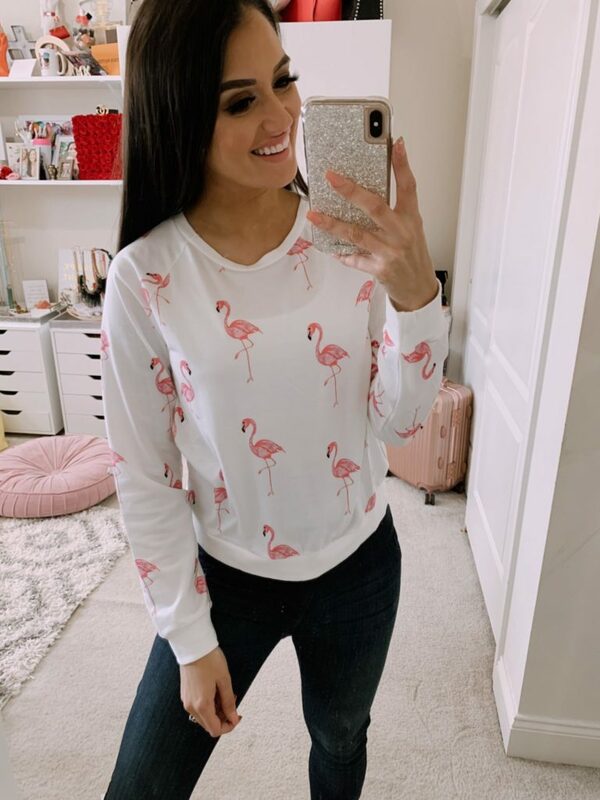 This flamingo sweatshirt is SO cute! It’s very lightweight, so it would be a great transition piece from spring to summer for those colder nights! I’m wearing a medium and this runs true to size. I am in LOVE with this top. 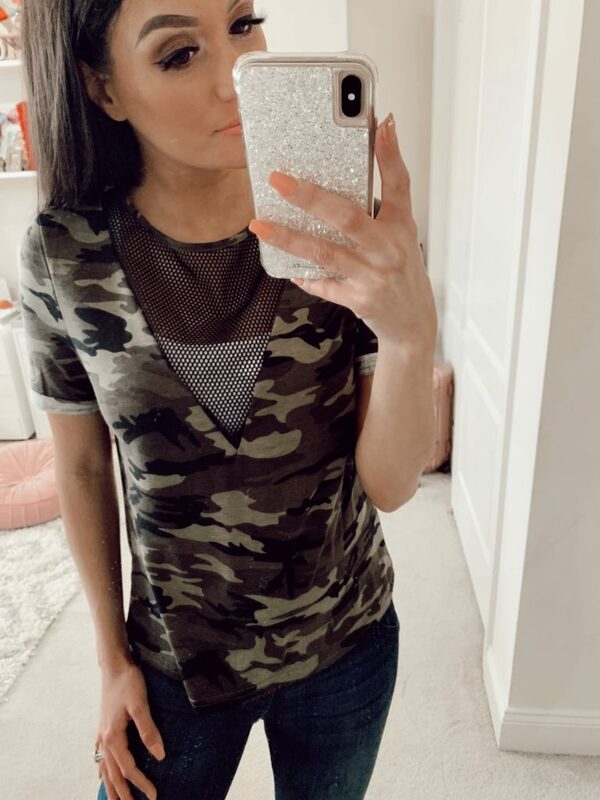 It’s so cute and on-trend right now with a camouflage print and mesh V-neck insert. This would be the perfect top for a concert. I am wearing a medium in this top as well and it also runs true to size! This grid print blouse is another on-trend style for spring that you cannot go wrong with. A printed blouse should be a staple in every closet as it can be dressed up or down or layered depending on the weather! I love this one however, it is a one-size so definitely keep that in mind when ordering. I would say this one fits exactly like a medium! This romper is absolutely adorable. This would be flattering on any body type with the belt that you tie around your waist for a more fitted look. I am wearing a medium in this as well and it runs true to size! Also comes in two other colors: red and white! Another spring staple: A jumpsuit! The color is so pretty and I love the high neck and wide, cropped leg style. I am also wearing a medium in this jumpsuit and it also comes in pink, grey, green and black! This would be a great transition piece as well with a cardigan or with a wedge for a summer barbecue! 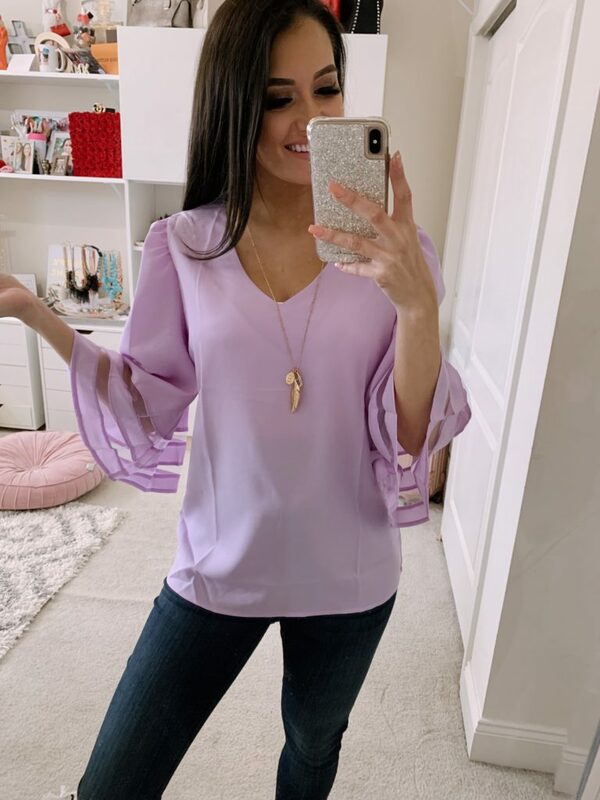 This bell sleeve blouse is absolutely adorable. This is the perfect casual top that can be dressed up with a fitted skirt for any business casual event. I am wearing another medium and this comes in 13 other colors including some stripe and floral patterns! Which piece is your favorite? I’d love to know in the comments below! I have already added the bell shirt, the romper and jumpsuit to my amazon cart! Is the fabric soft? Yes – the bell shirt is normal, the romper and jumpsuit is super soft! So I added the camo tee, grid blouse, romper and 2 bell sleeve blouses to my cart haha love them! So nervous to order clothing from amazon but these pieces are so nice! I order from there alllll the time! I hope you love them! Love seeing what you got! Amazon is the best. Love the jumpsuit the most! These are so cute! I am absolutely loving that striped jumpsuit and lavender bell sleeve top! 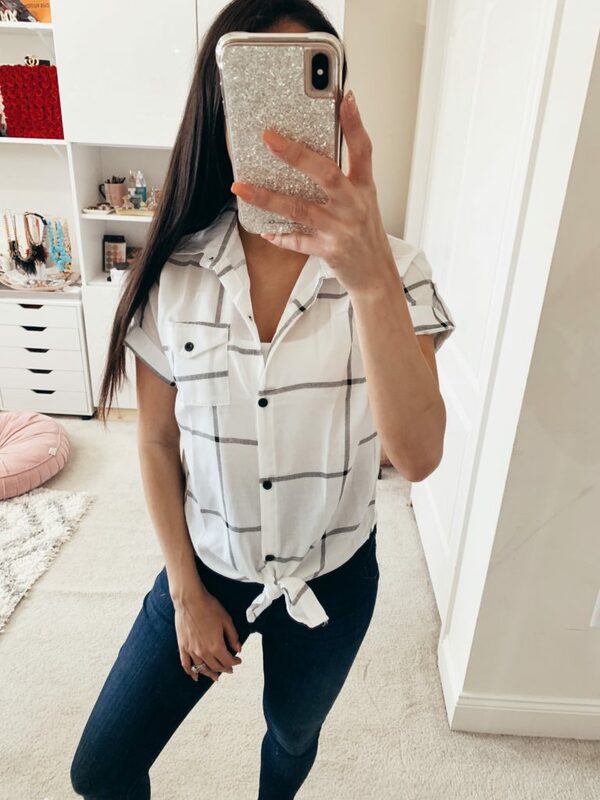 So many comfy styles to bring into spring and summer! Love your choices! I haven’t shopped for clothes on Amazon in so long! I love your choice in rompers though and the style of the last blouse. I’m excited that it’s finally Spring so that I can wear pastels again! The sleeves are very unique and I like how they billow out. Thank you for sharing, Tonya! Great Haul! 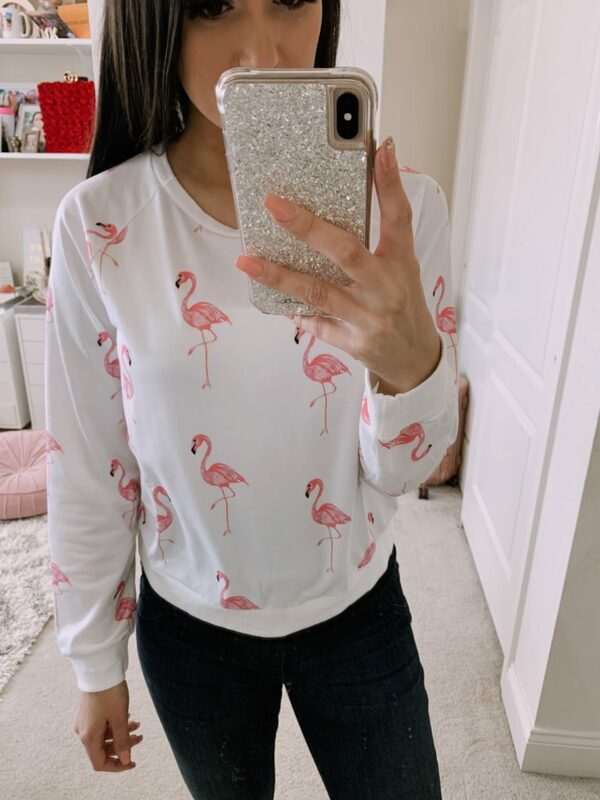 I love that flamingo piece! Oh I love the haul! I love shopping on Amazon, so convenient to add clothes to the closet! 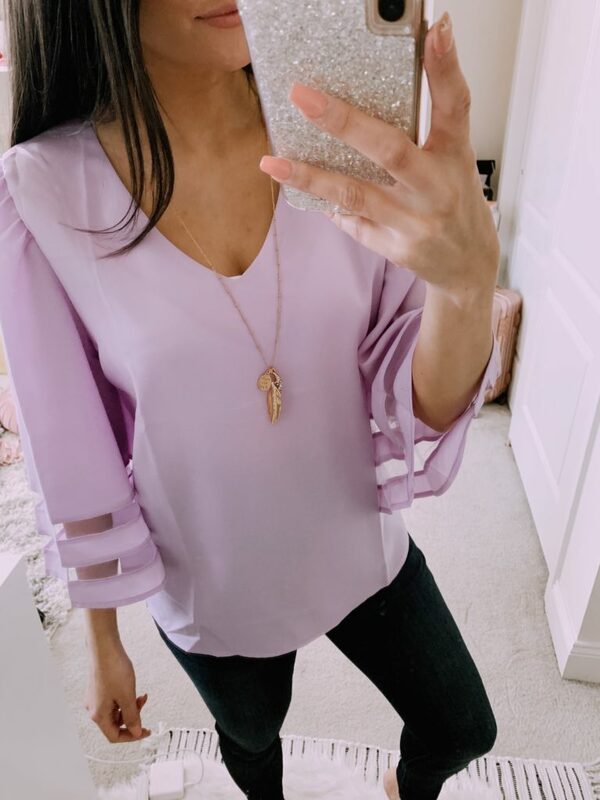 That purple top is to die for! SO cute. You found some fabulous styles on amazon. Wow so many great items! Amazon has a great array of selections when it comes to fashion. You got so many cute pieces! I think I have ordered maybe one clothing item off of Amazon! I need to start using it way more often!